As an entrepreneur, you might really wish that you have no handicap. It can be handling people, other commitments that don’t allow you to focus your energies on one project, technical know-how and even design. When it comes to design, understanding it is of prior importance but only helps you to a certain extent. It gives you the capability of being precise about what you require. Since you’re the one who knows most about your business, it helps to have the CEO/Founder/ManagingPartner being very clear about what the needs of the hour are. At the same time, it is very frustrating when the bootstrapper is not able to handle the technical side of things. When you can see the design in your head, and need to get it done fast and you’re not able to do it- nothing ever makes you feel more helpless. And that is when you turn to graphic designers. Now, it helps when you have a dedicated designer with you, the one who understands your business and suggests the best things. It hurts when you don’t have one. Because getting it done from third parties makes your wallet lighter by heaps. Design is way more than just doing fancy art. It is about understanding the target audience, the attitude of the firm and the policies it plans to implement in the future. Design can get to the very core of how one does business, showcasing the fluidity and neatness in every customer-call and every product-delivery. You’re doing a big mistake when you rely only on the visual senses while creating a design. It is essential to take other senses into account too. The right design at the right time is able to reach out to all parts of our brain, and pickle it into awareness. The right design resonates, and we truly feel what the certain brand is trying to say. It goes way beyond images and shallow analogies. It enters the domain of shapes, symbology, colors and resultant frequencies. Accentuating the emotions is very important. Having a look at the Clover leaf above, we know that the petals are connected at the core. 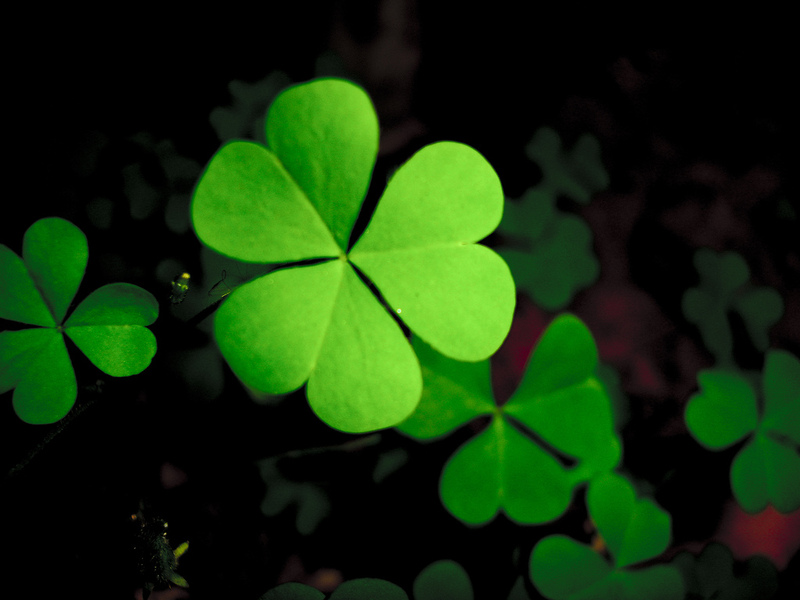 Any business is like a Clover leaf- multiple petals creating a beautiful ‘unity’, while staying attached to the core. How do we apply this fact to the design principles? When we know our services/product, it generates a certain brain reaction. We don’t understand the chemicals being secreted but we sure understand the change in emotions. It either excites us, saddens or generates pure joy and enthusiasm. Our services/product is the petal while the emotions are the centre/core of the business-clover. And the core (emotions) is basically responsible for us being building the business in the first place. Reaching the core, we start working on another petal, the Design one. Understand that the petals are different, perhaps even in appearance but the core remains the same. That is, the services/product and the design we employ may seem unrelated to many. But the resultant emotions remain the same. Because the core is unchanged. If the design truly resonates and so do the services/product, we feel joy. Remember Apple, Nike, Mercedes and many more designs. I give the famous examples because their logos manage to create the same aura as their services/products. Doing a graphic design course is high on my agenda. It will feel heavenly to dissolve that one handicap. Creating things is orgasmic.